The original Wanslee service station at the Five Points intersection downtown is now part of the Armory Park historic preservation zone. The City Council agreed this summer to put the "point" into the historic zone. 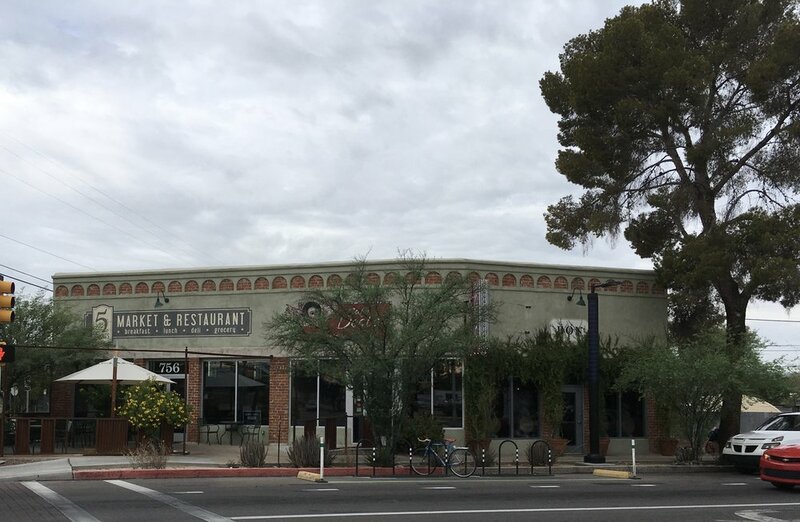 It was part of a deal that will result in construction of a three-story mixed-use development on vacant land on the east side of the five intersections where South Stone and South Sixth avenues meet 18th Street. Architecturally, there's nothing special about the tiny former service station, which was built in 1928 or 1929. Several owners failed at the location until a new Tucson High grad, Clyde Wanslee, took over the lease in 1933. He ran the full-service station and expanded across the street into used-car sales. Clyde fashioned himself as "ugly but honest," and he made the most of the slogan. He once told an Arizona Daily Star reporter that he wasn't movie-star handsome. "I am not all that honest, either," said, quickly adding that he was kidding. He gave car buyers key rings that proclaimed "High finance, poor insurance, lying salesmen and lousy cars." Joking aside, Clyde Wanslee Auto Sales, now operated by his stepson, Tom Epperson, is still very much in business. Wanslee died in 1984 and the gas-station part of the business shut down in 1989. But the signs on the little station are still there. And now they have a bit of historic protection. These days the Five Points intersection is best known as the home of 5 Points Market & Restaurant, Cafe Desta and Bon boutique. More of the history of that building soon.